The Boxee Box is aptly named because it is literally that, a box. It’s a good size and shape for placing on a shelf near your TV. I was reviewing my home expenses the other day and I noticed how much more I was paying for my cable television subscription compared to when I first signed up for it. Funny thing is, I barely watch TV now because, short of a few good shows, there’s not much worth watching. To borrow an expression from a friend, “A thousand and one channels and still nothing to watch!”My friend might have been exaggerating, but it got me thinking about looking for other alternatives that could lower the cost of other types of entertainment shows that I do watch, like movies, concerts, live sporting events, etc. While searching for some answers, one topic that caught my interest is TV media players. One device in particular stood out, the Boxee Box streaming TV media player, so I decided to do some more digging to see if it would lower my cable bill while giving me more choices in my TV viewing. Here’s what I found out. Boxee Box is an HD streaming media player. So, yes, you need a high definition television to use it. 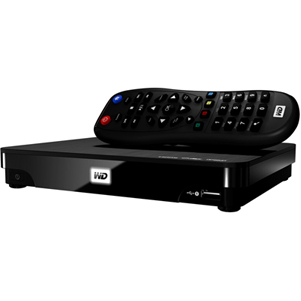 Its function is pretty straight forward – it streams any content you can get over the Internet to your television. So if you’re currently watching television shows or movies on your computer or a mobile device, you can now watch them on the big screen. You decide which TV show, movie, sports game, or other programming you want to watch and Boxee Box first looks for it for free, which I think is a nice feature. If it’s unable to find free content, the Boxee Box TV media player automatically presents you with entertainment streaming provider options, like Netflix, Vudu, Hulu, MLB.TV, etc. With Boxee Box, you can also access Internet content, like Web videos, university online courses, YouTube videos, or anything else you normally get online. In a nutshell, you can play any media from anywhere on the Internet. The Boxee Box media player takes the technology a step further and enables you to play your videos and music, or display pictures from your home network, computer, or mobile device. What’s nice about this media streaming box is you pay for the programming you actually watch, so you’re not paying a monthly cable fee to have channels you don’t even watch. So clearly, Boxee TV would definitely help me lower my cable bill or do away with cable TV completely. Most streaming players are easy to use and Boxee Box is no exception. You plug the device into the wall, connect it to the HDMI input on your TV, turn on both your television and the Boxee Box, and follow the on-screen instructions. You’ll know whether you plugged into the correct HDMI input because Boxee will smile at you. For non-tech people, this streaming media device is great because it configures your Internet connection automatically and tunes itself to your home entertainment system.I was able to see the Boxee Box media player, along with similar devices, in action at my local Walmart. What I noticed right away is the Boxee media player is more user-friendly in the way it organizes its home screen. It’s actually broken down into six sections: Friends, where you can see what your friends have watched and commented on over social networks to help you decide what to watch; Watch Later, where you can tag programming to watch at some other time; Shows, which features the Internet app for accessing television shows from hundreds of networks; Movies, which is a listing of available movies compiled from numerous sources and paid providers; Apps, which lists the various media apps available on the Boxee Box platform; and Files, a file server application that handles your home network files, such as pictures where you can create a slideshow, and your music and video files, so you can play them on your HDTV. 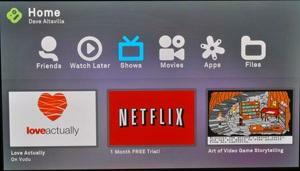 The Boxee Box home screen is nicely organized into six levels so it’s easy to maneuver around and access content. From what I could assess, the Boxee Box HD media player has a lot going for it. I like that you can organize all your digital files, from artwork to music, in a user-friendly interface. It’s also pretty useful being able to organize, store and share all your MP3 files on Boxee Box. As with some other TV media players, you can use your Android phone or iPhone as a remote to control Boxee Box, which is helpful because you can then do a voice search. You can also send whatever video you’re watching on your iPad or other mobile device to your television so everyone can watch it, to do something else on your mobile device at the same time, or just for better viewing. 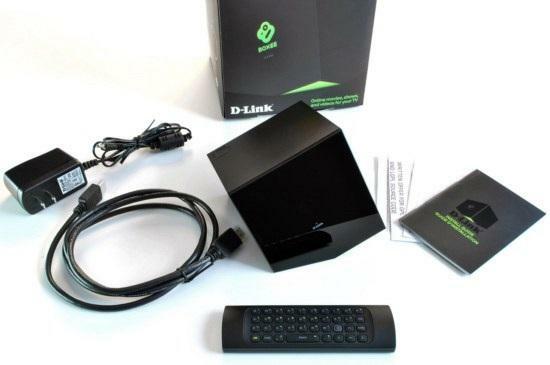 D-Link is the company that developed the Boxee Box TV player. Its mission was to provide a home theater experience in a little box, complete with high-definition quality content and Dolby surround sound. 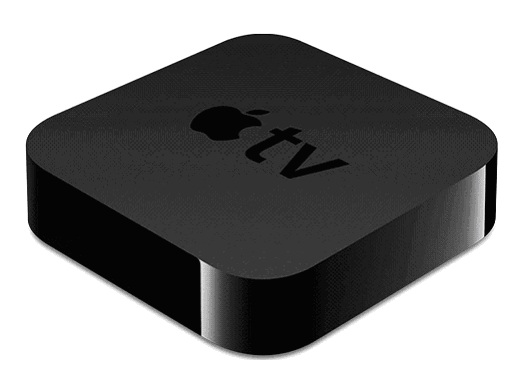 It appears to have done that, and do it as well or better than its competition.The streaming box weighs about 2.5 pounds and its dimensions are 4.5 x 4.5 x 4.6 inches. To use the Boxee Box streaming media player, you need a high definition television that has HDMI input and a high-speed Internet connection. A wired Internet connection provides the best viewing experience. The back and side of the Boxee Box unit where you can add additional functions to the device. 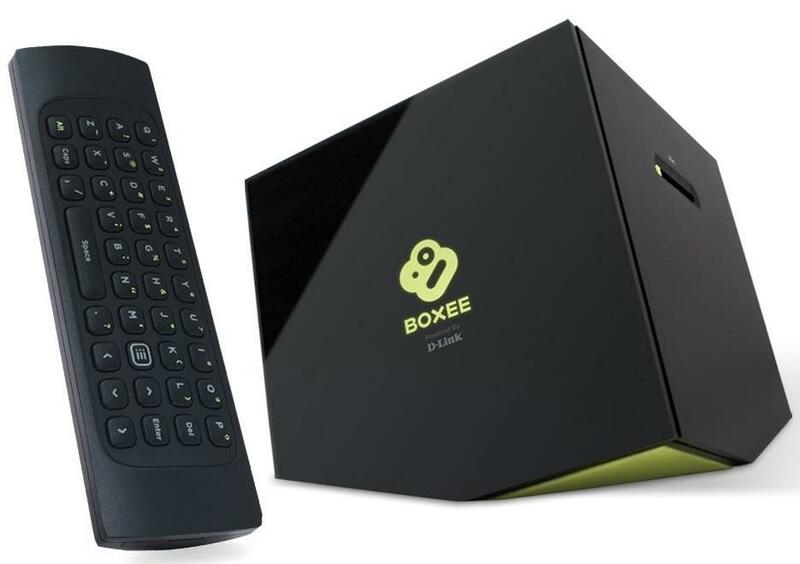 If you take a look at the back of the Boxee Box, you’ll find it fully loaded with two USB ports so you can hook up a mouse or wireless keyboard, optical digital audio and composite audio connectors, a Wi-Fi equipped (802.11n) Ethernet port and the HDMI output. An SD card reader to access your media is on the side of the box. 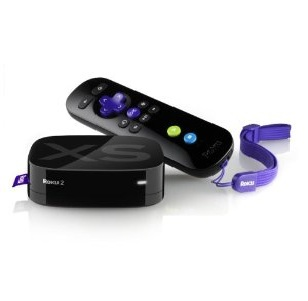 With these connections, the Boxee Box streamer can pretty much plug into any device. Unfortunately, the USB ports cannot be used to download and save media content. The workings of the Boxee media player are powered by an Intel Atom-based CE4100 media processor. 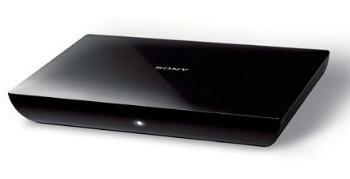 It’s responsible for the powerful 1080p HD streaming and support for all file format types. Looking at other streaming media players, I immediately noticed some major differences between them and Boxee Box HD. For starters, Boxee Box has what it calls Boxee LiveTV, so you can get your local news, shows from your area’s broadcast stations (CBS, NBC, ABC, FOX, etc.) and live sports. So that right there replaces your need for cable TV, however you do need an HD antenna, which can be purchased separately and installed quickly and easily. 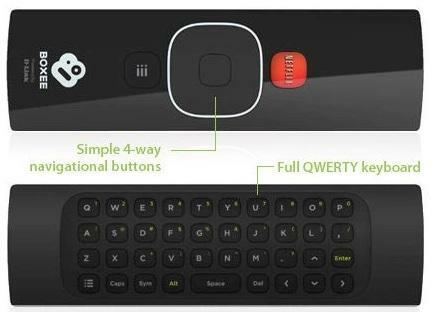 The Boxee Box remote is a two-sided functional remote, with navigation buttons on one side and a full QWERTY keypad for searching for a program on the other side. Another unique thing about the Boxee Box streaming TV media player is the remote. While all remotes have a front and a back, the Boxee Box remote actually makes use of both sides. One side has the usual power switch and navigation buttons, while the other side has a full QWERTY keypad so you can type in a URL address, your account information, or the type of programming you want to watch and the Boxee Box autosearch function will find it. I was also impressed with the social aspect of the Boxee Box TV player. One of the choices on the search menu is Friends. You can actually recommend movies and shows to friends and they can see what you’ve been watching and offer suggestions via the Boxee network, Facebook, or Twitter. It’s a nice feature if you’re undecided on what to watch or want to know if a movie is worth paying for or watching. In terms of size, Boxee Box is aptly named – its shape is a cube, a rather big box compared to other media players that are designed purposely to be as small as possible. But size is subjective to personal preference, so I’ll refrain from weighing in on it. From the research I’ve conducted, suffice to say that some think the size is a cool feature, while others do not. Here’s what you can expect to find when you open your Boxee Box purchase. The Boxee Box HD streaming TV media player retails for $229.99, which is much higher than some of the $99 streamers out there. However, Boxee Box justifies its cost with its high-end technology that offers extensive features and functions. You have in a nice, compact cube a wide range of streaming and storage capabilities. It basically supports all audio and video media types and plays them all well, too. I always turn to Amazon.com for unbiased reviews because they’re written by people who actually purchased the Boxee Box TV media player and are using the device. In browsing the customer reviews, I found that most people are extremely happy with its extensive functionality. Many comments focus on the flexibility of its storage capabilities, with the majority saying this function sets it apart from its competitors.It appears there are a few concerns relating to when Boxee Box was first released, but everyone mentioned their satisfaction with the company for addressing their concerns. The reviews on Amazon offer many pro and con opinions, which explains why the Boxee Box HD streaming media player received a customer rating of 3.4 out of 5 stars. I ADORE this thing. RF, I love it!!! The Flickr app is a DREAM!!! I LOVE this device. It costs more than other streamers but has a very strong set of features and ease-of-use after it’s all been set up. I’ve had this hooked up for around a week now and love it. Simply put, the power of the Boxee Box is its ability to play virtually every format of local video/audio and its extensibility via 3rd party repositories. If your friends come over with a USB stick filled with images/video, the Boxee is hands down the most likely player to play it without problem. Why waste time converting your existing library into something your media player can read? It’s much more time/cost effective to buy the player that plays EVERYTHING! I spent about two months off and on reading numerous reviews for the Roku 2, Apple TV, Logitech Revue, Boxee Box and the Western Digital TV Live Hub. I have a fairly large digital movie, music and photo collection, so I wanted something “flexible” that would adhere to my needs. There are a lot of reviews out there for each of the devices, but based on my experience with the Boxee Box, I am sold. I bought a Boxee Box because I wanted a player that could handle HD files I had stored locally. When it comes to that, there is no competition. Online, you can buy the Boxee Box media streamer online direct from D-Link, at other electronic stores, or from Amazon.com. The device is also sold at numerous major retailers, like Walmart, BestBuy, Target, OfficeMax, Costco, etc. The D-Link website actually offers a list of online sites and retailers (http://www.dlink.com/us/en/home-solutions/where-to-buy) that sell the box.I would recommend comparing prices on this one because they do vary considerably. For example, D-Link sells the Boxee Box TV media player at the regular retail price of $229.99, Newegg has it for $174.99, while Amazon.com (http://www.amazon.com/Boxee-D-Link-Streaming-Media-Player/dp/B0038JE07O) comes in with one of the lower prices at $168.40. While a lot of people prefer buying direct from the maker, keep in mind that the D-Link price does not include shipping, which is another $11 more. On the other hand, the Amazon price is your final cost because shipping is included. I also like Amazon’s hassle-free return policy and if you use the device and decide you don’t like it, you can always resell it on Amazon and get back some of your money. With D-Link, you have a 30-day money back guarantee. The most comprehensive collection of customer reviews is on Amazon.com. There are nearly 900 reviews on the Boxee Box player, which you can read by clicking here (http://www.amazon.com/Boxee-D-Link-Streaming-Media-Player/product-reviews/B0038JE07O/ref=cm_cr_dp_see_all_summary?ie=UTF8&showViewpoints=1). You can also find industry-related reviews on the D-Link site by clicking here (http://www.dlink.com/us/en/home-solutions/boxee-box/awards-and-press). Unlike Amazon which are customer reviews, these are reviews from paid professionals who review for sources like CNet, Appletell, Hardware Geeks, TechCrunch, etc. However, you can get some good inside information from these reviews. For instance, I learned that D-Link won’t be offering any more updates to Boxee Box in the near future as it focuses on a new cloud- based product release.